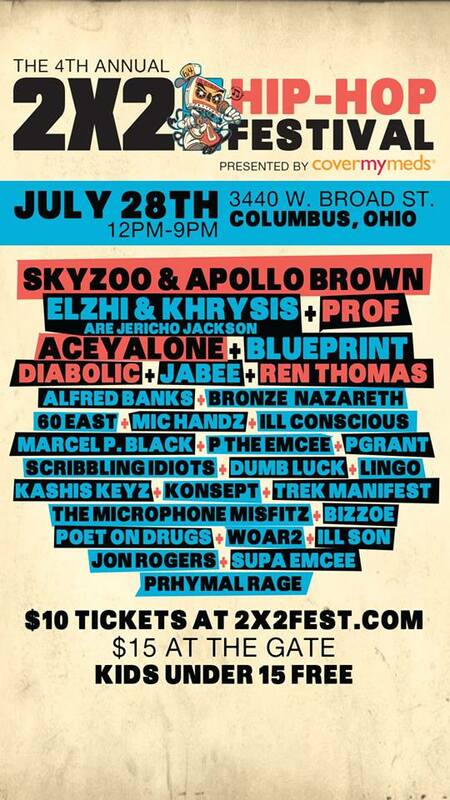 2×2 Fest is a SUPER awesome festival put on in Columbus and they are gearing up to launch their 4th year! In light of events like Scribble Jam, Paid Dues, Sound Set etc etc this festival is jam packed with multiple stages of performing artists, graffiti, BBoy tournaments and MC Battles! 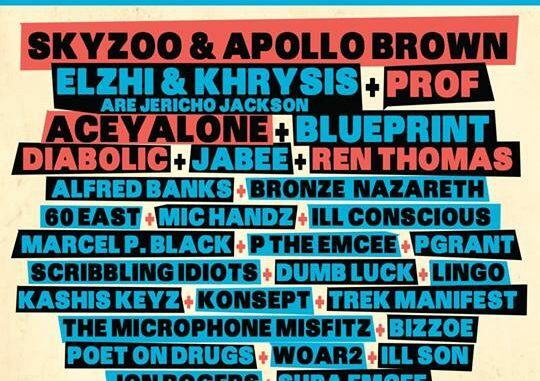 there is more information on their site over at http://www.2x2fest.com/ and we are HAPPY TO ANNOUNCE that some of he Prhymal Rage artists will be performing this year during a 30 minutes Prhymal Rage set alongside artist like Skyzoo & Apollo Brown, Blueprint, Aceyalone, Prof, Diabolic, Ren Thomas, Eljhi & Krhysis, Bronze Nazareth and many many others! So come look for us and our Merch Booth!! We will be updating information below on who we plan on having at the Festival this year!